Departs every hour in the day, with cream teas and refreshments. Really great tour of the river Avon, looking at the back of all the millionaire homes and also runs along side the RSC Theatre and the Church where Shakespeare is buried. It is also runs Night time entertainment and spooky cruisers too. 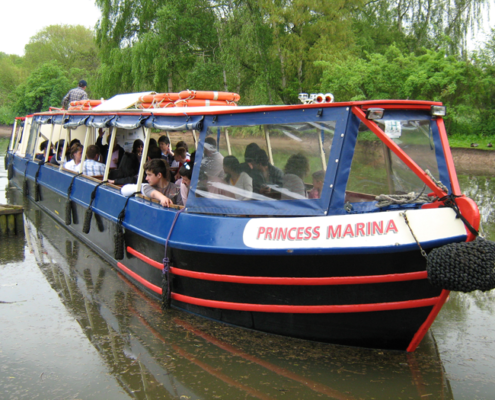 They run 2 narrow boats, only one is fully accessible with wheelchair lift. Please enquire before departing to see what time the boats are running.